Dollops of Diane: Menu Craft for Kids! I've talked before about how Isabelle (5) loves to do crafts. The girl would sit at the table all day long and color, paint, glue, sparkle, ribbon, etc! 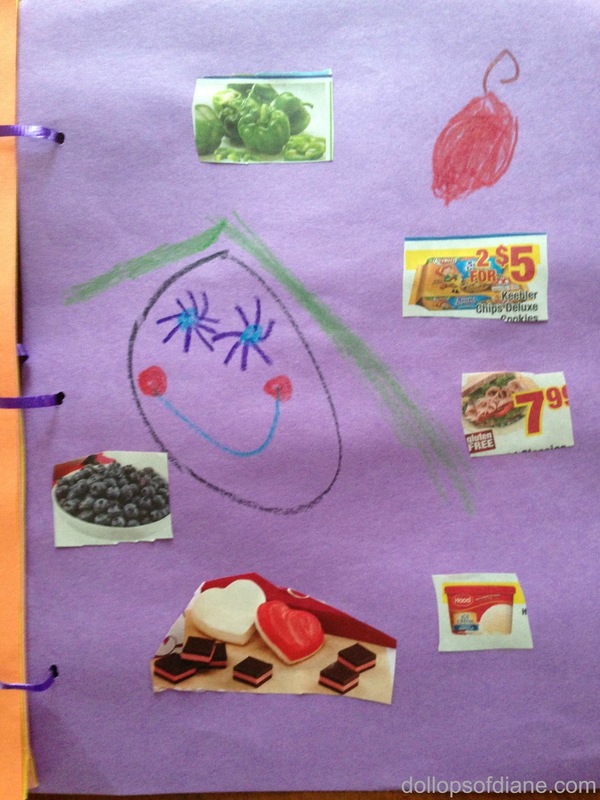 The other day she spent her afternoon making a menu for her pretend restaurant. 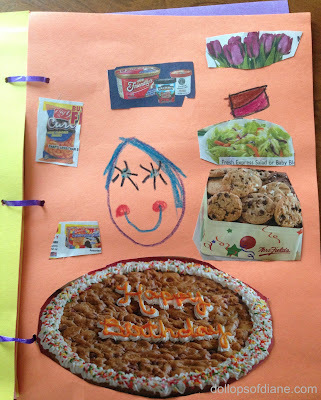 She cut out pictures of food from the local grocery store flyers, colored the pages, and then we put them together with some ribbon. It's super easy and kept her entertained for hours. We now use it whenver we play restaurant so it's actually a useful craft, too - a win/win!